Elementary Buildings (K5-6): On September 5th, the Evergreen, Trailside and Woodfield doors will open at 8:20 AM and all 5K-6 students should report to their homerooms. Class lists will be posted outside of each teacher’s room. Students without an assigned classroom should report to the office. Parents may accompany students to their classroom on September 5th. 4K students should meet in the lobby of their assigned school on September 6th. 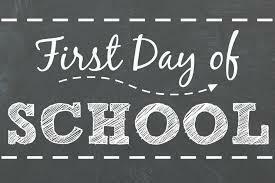 Fox River School (7-8): On September 5th, the Fox River School doors will open at 7:15 AM and all students should report to their 1st hour class. Parents should NOT accompany their students on this day.